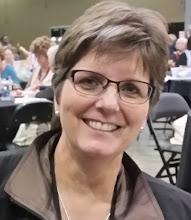 Susan's Craft Room: RemARKably Created Blog Tour - Daffodils! RemARKably Created Blog Tour - Daffodils! 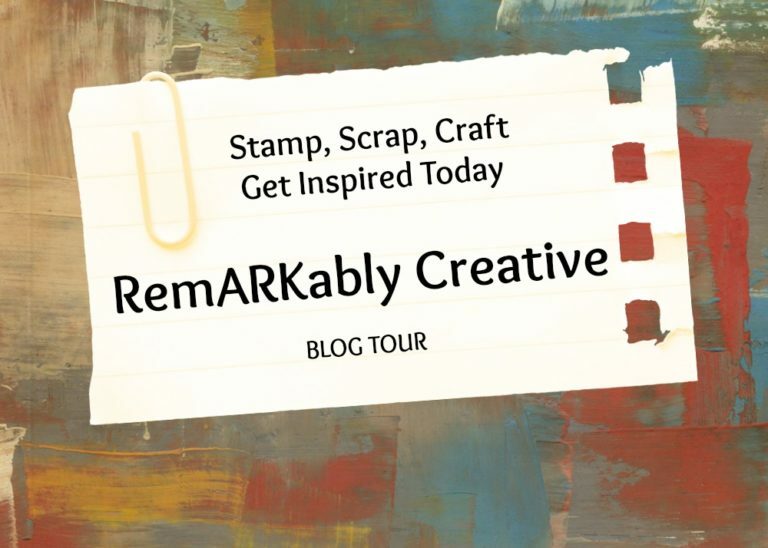 It's great to be participating in the RemARKably Creative Blog Tour again! This month we are featuring projects that use a mix of products from both the Occasions Catalog & the Annual Catalog. Click through the tour to check out the great creations being shared today! 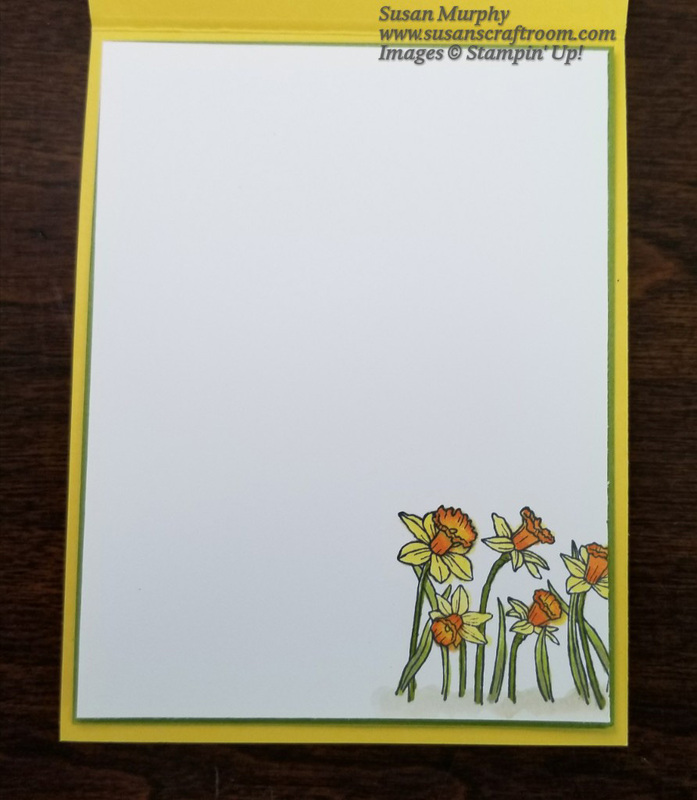 My project for the blog tour features the beautiful daffodils from the You're Inspiring stamp set from the Occasions Catalog. I am past ready for the daffodils to make an appearance! I am not a cold weather loving person! I also used some of the new Whisper White 1/4" Organza Ribbon. This is my current "go to" ribbon! There are so many possibilities with this ribbon because it can be colored with the Stampin' Blends or Stampin' Write Markers! In addition to Old Olive, Whisper White & Daffodil Delight cardstock, the Layered Leaves Embossing Folder & Lots of Labels Framelits were used from the 2017-18 Annual Catalog. Stampin' Blends were used to color the flowers. The daffodils are so fun to color with the Stampin' Blends alcohol markers! Although the Stampin' Blends are on page 30 & 31 in the Occasions Catalog, they were actually released a bit earlier than the catalog. A portion of the smaller daffodils stamp was used for the inside and colored the same way as the larger flowers on the front of the card. 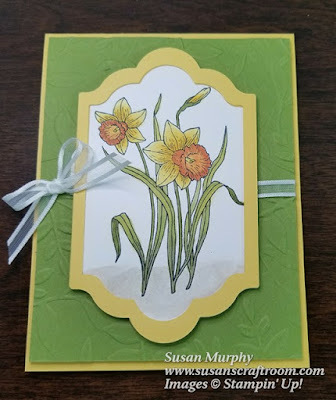 For instruction on how I colored the daffodils, watch this video by Stampin' Up! Fantastic Perennial Birthday Project Kit! It's the PERFECT Time to Join Stampin' Up! Anything But A Card Blog Hop-VALENTINE FAVORS! Buy 1 Fast Fuse & Get 2 FREE Refills!